How the heck has half of the year already passed by already?! Since summer is in full swing I was inspired to use veggies that are readily available to me during this time of the year. I cannot get enough of corn on the cob and tomatoes since this is the best time to eat them. I think I could eat corn on the cob everyday. Since salads are synonymous with summer, I thought I’d throw my two favorite summertime veggies into a salad. The corn adds a little bit of crunch and a lot of flavor here. Barley… have you ever cooked with it before? I’ve only cooked with it in a Vegetable Barley Soup (until now). It’s hearty and delicious and yet I always forget about it. It’s a great for soups and stews, but today we’re focusing on summertime eats. Barley is a great option for most salads. Just think of how you’d use quinoa, couscous, or rice and you’ve got it. 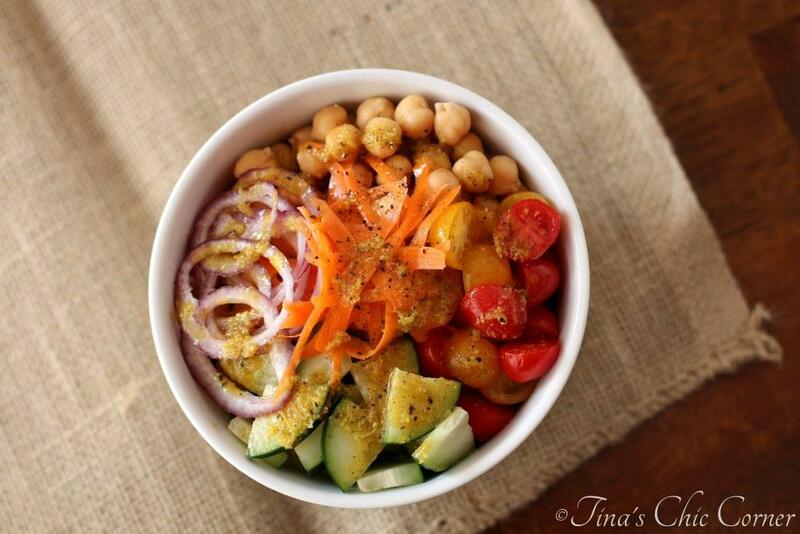 I added some fun chick peas to this salad. What? Beans can be fun. 😉 They’re also an awesome source of protein and iron, which is especially great for someone like me who doesn’t eat meat often. I topped this salad with an easy peezy lemon dressing. It’s one of my favorite dressings. I wanted something simple with a bit of pizzazz and this does the trick. Plus, lemons remind me of summertime so it goes with this salad’s theme. You can enjoy this salad warm, but I especially love it cold. 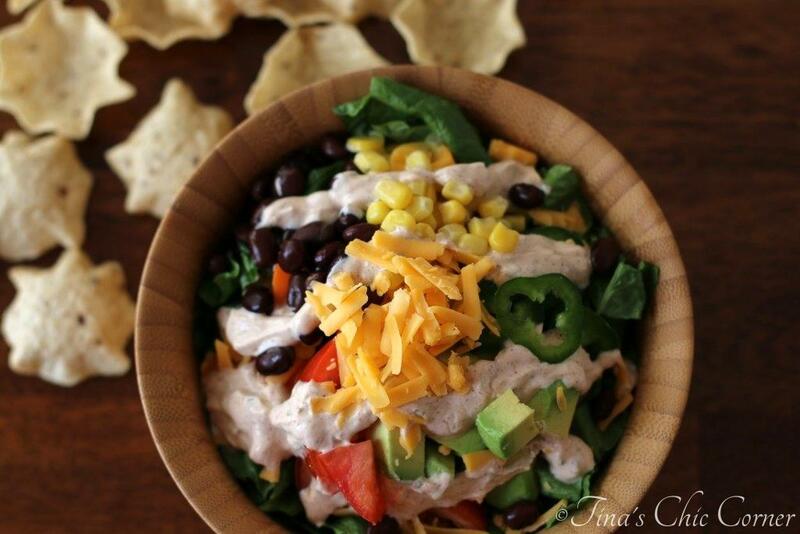 This would make for a great side dish to bring to a 4th of July BBQ? Just saying. My husband I joined some friends for a mini vacation in Boston over the weekend. If you follow me on Instagram then you know that we saw Lindsey Stirling perform at the Blue Hills Bank Pavilion. She was UH-mazing! It was super nice to disconnect from reality for the weekend, but that obviously prevented me from doing any blog work. In a small bowl, add the zest of 1 lemon. Season with salt and pepper and then whisk all of the ingredients together. Cook the barley according to the directions on the package and then set it aside. Remove the husk from the corn on the cob. Rub the butter on the corn. Wrap the corn on the cob in tin foil and roast the corn. * See the Note below for roasting the corn. Let the corn on the cob cool. 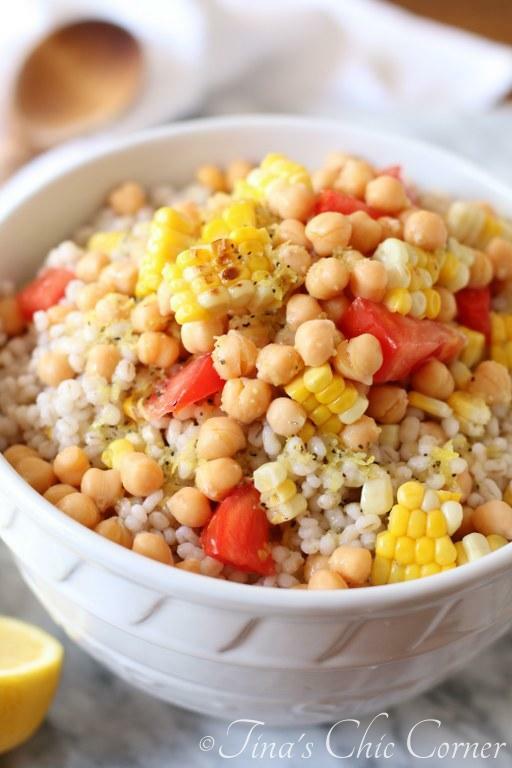 In a large bowl, add the cooked barley, corn kernels, chick peas, chopped tomatoes, and the Lemon Dressing. Gently stir everything together. * Note: You can roast the corn on the grill or in the oven. I roasted it in the oven at 450 degrees F for 25 minutes. Here are some other fantastic options to bring to a BBQ. Tina, I love this salad. I can’t wait to make it. 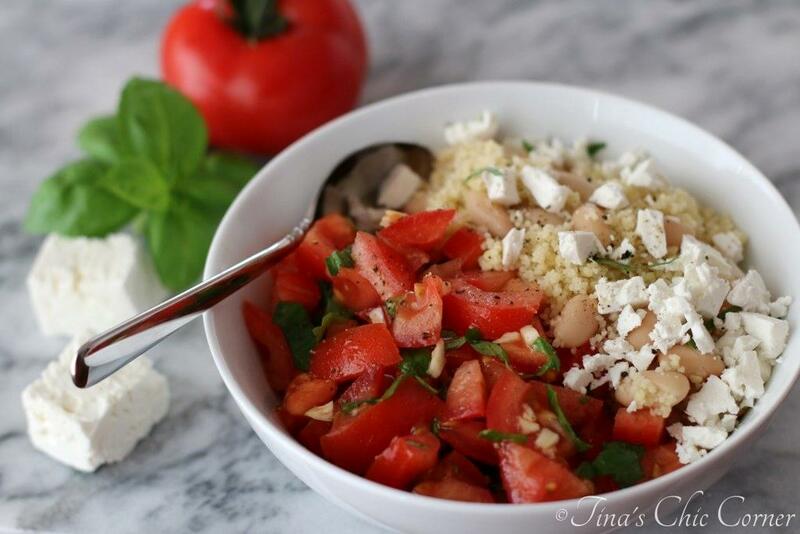 LOVE the sound of this salad! I am on a corn kick like no other and I adore using barley – they sound fantastic together!